When you think of creating a movement, you may naturally think of Ghandi who supported the liberation of India from British rule, Martin Luther King who campaigned for civil rights, and even the #MeToo movement for ending disrespect and violence against women. These are big history making and society changing processes. But how is a movement born? 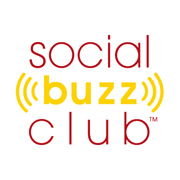 Social Buzz Club, Founder, Laura Rubinstein interviewed transformationist Joseph Ranseth about what is a movement and how does one launch it. This article is a summary of this in-depth interview. Be sure to watch the interview that is embedded within this article below. The word “movement” has become a buzzword in the online marketing space and many who simply want to move product make their objective it sound grander with the word movement. Marketers can use their tools and strategies to engineer transactions. They identify the words, colors and experiences to stir the emotions that lead to the predictable actions that they want you to take. That works to get a certain number of transactions done. However, the purpose driven entrepreneur who has experienced hard earned life lessons typically has a heartfelt desire to serve others are passionate about causing transformation and serving others. For these people relying upon marketing tools and strategies is not effective. Great marketers not only have the tools and strategies, but they also understand human behavior and what drives decision making. Master marketers have this knowledge of what drives human behavior along with the tools, but they are not trying to move product transactions. Instead they use it to engineer transformation. They ultimately give people a new lens for how they see themselves or the world around them. Then there are natural actions that occur. Change comes from two places discipline (decision based) and disposition (natural inclination). Discipline change is about creating a new habit or using will power. Under stress the discipline goes out the window. Disposition based change is about a belief that has been activated. It has a deep foundation and causes more sustainable change. For example, when a grandfather who has smoked his whole life sees his newborn granddaughter and realizes he wants to be around for her graduation, he makes the choice in an instant to stop smoking forever. Disposition based actions cause sustainable change and master marketers work to create just that. In marketing and creating a movement when you focus on giving people a new lens, that change happens automatically. 1- Big Idea – Identify a big idea that is bigger than ourselves. It has the power to bring people together for a common cause without them giving up their identity. This concept allows people to celebrate their differences, yet they can come together because there is a universal truth or principle that resonates and the idea can grow from. For example, Dr. Martin Luther King was not focused on passing a civil rights bill, he was promoting the big idea that all people are created equal. Once you have the big idea then start thinking about how do you express it in physical form. 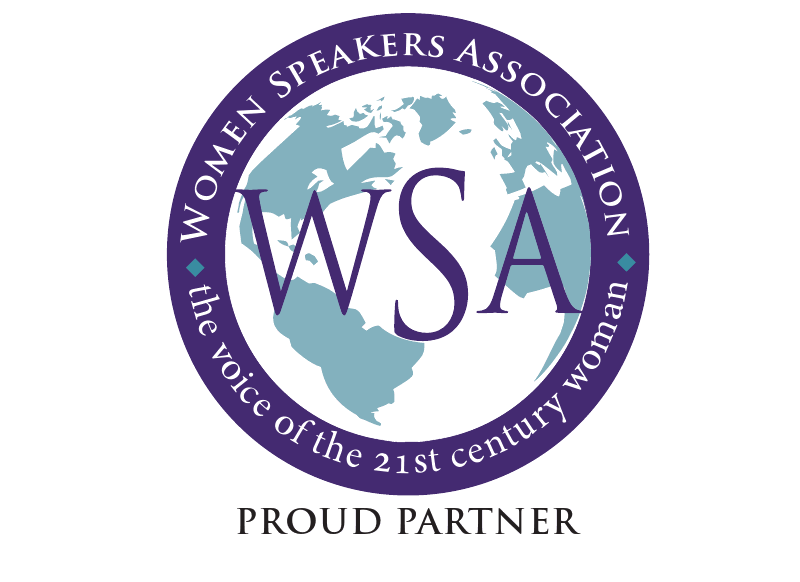 2- Clear Message – The heart of the message is easily recognizable and repeatable and people just get it. “I have a dream” is what is remembered in context of everyone getting along not the full 16 minute speech Dr. King gave. When people get it, it anchors them to it and they naturally take action in alignment with it. You must capture the universal truth in a such a way that it lands in the hearts and minds of people and transforms them. This is where the art of choosing words that help things go viral that Joseph consults about. 3- An Army of Advocates for the Cause – You need evangelists. Find the eternal truth behind this – helping people care for families before it becomes an emergency. There was no way that Dr. King took on people getting along and treating each other as equals on his own shoulders. Thousands and eventually millions got caught up in this movement. 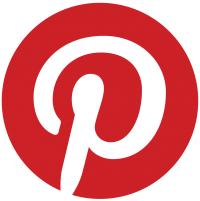 Here at Social Buzz Club, we love bringing influencers and advocates together to grow movments. What is the timeless universal truth your building upon? How do you communicate it so people take up that cause so they don’t feel like they are losing themselves or serving someone else’s agenda? Marketing is about promoting a product, person or a company. When you elevate it to a conversation that everyone can be a part of, you have the foundation for a movement. A movement elevates human consciousness. It’s not just about achieving a goal. It’s about impacting the human trajectory of humankind for the better. Thereby allowing future movements to build upon that. When you identify that thing that is helping to elevate human consciousness, then you look at it as a process that is distinct from asking the question how do I get a whole bunch of people to buy stuff. Instead we build on an eternal truth that causes transformation. Many people who start movements see a “wrong” that they want to “right.” It starts with the drama triangle. As the formula, life and most stories go, there is a damsel (or person) in distress captured by the evil dragon and the knight in shining armor saves the day. In other words, there is a victim to some sort of villain and a hero saves the day. Any time there is drama in our lives there are players in these roles. Movements are a lot of drama. Someone is the victim to a villain and the hero or person/solution/legislation is needed to save the day. Usually this passion for causing a transformation (creating a movement) comes from something that is very personal. Knowing how bad it can be is a starting point. Many social justice movements, started with people who are wronged and want the logical conclusion of the opposite to solve this problem. In order to have an effective movement we need to come to the place where we are no longer in the drama triangle. And rather we can observe it. That’s where our awareness is elevated to a place of seeing the whole (both sides) – not just heads or tails / right or wrong… But look, it’s a quarter and both are necessary. Then from this new perspective the dialog can begin. To ignite a movement you must move from here’s the thing that is wrong to the higher perspective that can actually change the conversation. When you have an idea, Joseph puts their big idea through the 9 step rubrik to make sure it qualifies and get to their bigger vision so that does more than raise awareness. It changes a conversation and gives the world a new lens. What dialog are we going to make obsolete? What is the conversation that makes our differences irrelevant? Joseph admires Dr. Diane Ansari-Winn who has invested her life in being a healer. While practicing anesthesiology she got burned out. As she came out of this, she wanted to help other doctors heal and prevent burnout. As she and Joseph worked though the vision and elevated the conversation from good/bad to the broader viewpoint, she launched the Physicians Vitality Institute that empowers healthcare organizations to incorporate more dialog around physician wellness and programs. This included training to help physicians do peer to peer coaching to prevent burnout amongst each other so eventually the whole discussion of burnout in the medical profession becomes obsolete. Look for the timeless eternal truth. You can start with the problem, but then elevate it to something everyone can buy into. For example, people thrive when they are in healthy communities. 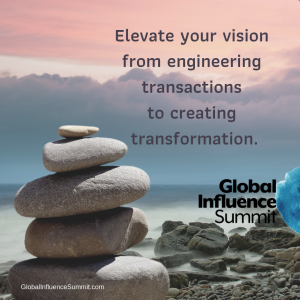 Elevate your vision from engineering transactions to creating transformation. 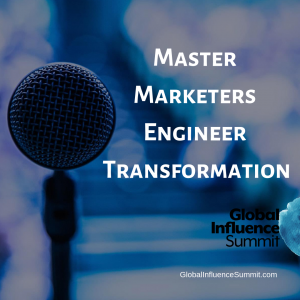 Joseph leads the Global Influence Summit 2019 marks the 4th annual conference. Attendees with start engineering transformation with him March 21-23, 2019 in San Diego. Our philosophies on how we lead and manage people have been ingrained in us over the years. Rightly or wrongly we follow in the path of those before us and emulate their behaviours. There has been a lot of literature and a number of different positions taken regarding leading and managing. Most of this has not had an impact on how most of us lead or manage. Why is that? Is it because our learned behaviour kicked in and we did what those before us were doing? Is it because we have been told rather than someone challenging us to think outside of our comfort zone? Is it because leaders are born and it is not something that we can learn to do? Some very thought provoking questions! Are You Sufficiently Supporting The Growth Of Leaders? When I take a look at some of our leadership/management development programs I hear the same message over and over again. We spend a lot of money on training people to become good leaders and managers but the results are not always what we had expected. My first question is always what have you done to support the learning? Have you provided a mentor for your new leader/manager to work with to reinforce the learning’s that they have just realized? Think of it from a continuous learning process – assess, determine the gap, train, reinforce in the work place, assess and continue the process. Failure to do this, results in us setting people up for failure. Fast forward to a time where you now have this new leader/manager in your workforce and they are struggling. What are some of the things that you are willing to do to assist them in their growth? I have seen this far too often and in most situations the new leader/manager is reaching out for assistance but we choose to ignore. Two key elements seem to be part of why we don’t reach out to help these folks be successful. First, we are not good at developing work relationships – helping each other grow personally and professionally. The other important element is that we seem to have lost the art of communicating effectively. The majority of the poison/negativity that exists in the workplace today is due to our poor communication and how we message with others. Sadly that poison/negativity can spread rapidly through an organization and most leaders never realize how bad it is till it is too late. Don’t let that be your organization – there are things we can do to change those situations! Social Buzz U features a free webinar by Doug Lawrence, Effective Mentoring – Preparing Tomorrow’s Leaders. This webinar takes a look at mentorship and how it can change the face of your leadership development program. I found this excerpt and wanted to share it with you as it speaks to a leader with mentoring skills. It is all about relationships, personal and professional growth and a huge focus on the positive.